Leads are the very foundation of sales and the most precious commodity a salesperson can have. 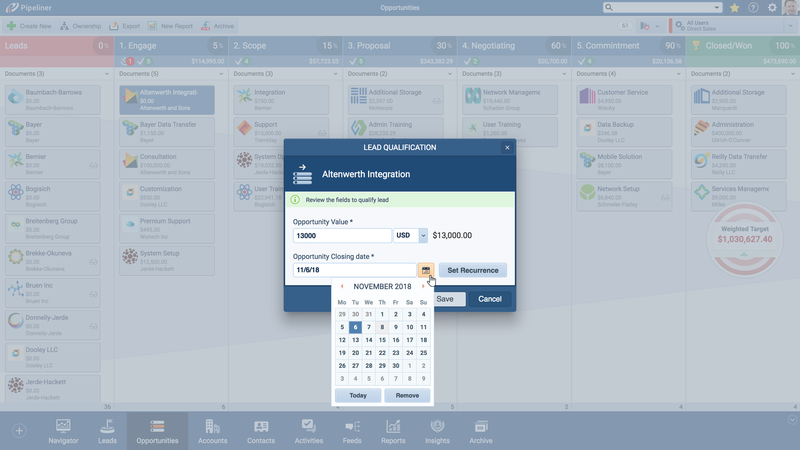 Leads don’t come cheap, and for that reason we have made visual, intuitive lead management one of Pipeliner’s premier functions. Leads can be entered into Pipeliner manually, imported through .CSV files, or automatically imported from web forms. 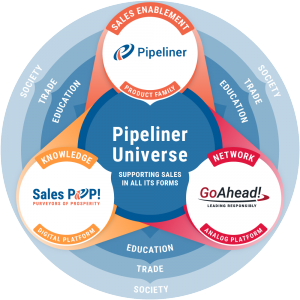 In Pipeliner CRM’s Pipeline View, leads have their own section, in which they can be readily seen, assigned and qualified. Leads can be taken by assigned reps, qualified and then moved along the pipeline (converted into opportunities), sent back to Marketing or Sales Development Reps (SDRs) for further nurturing, or archived. 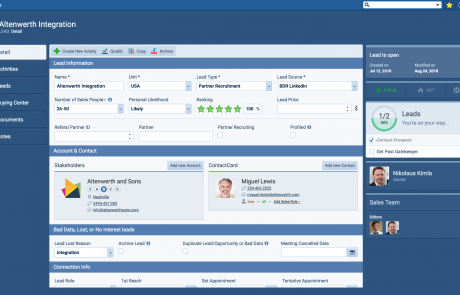 Leads are easily dragged and dropped within Pipeliner CRM. Once the lead becomes an opportunity, it is scored and ranked according to its chances of closing. 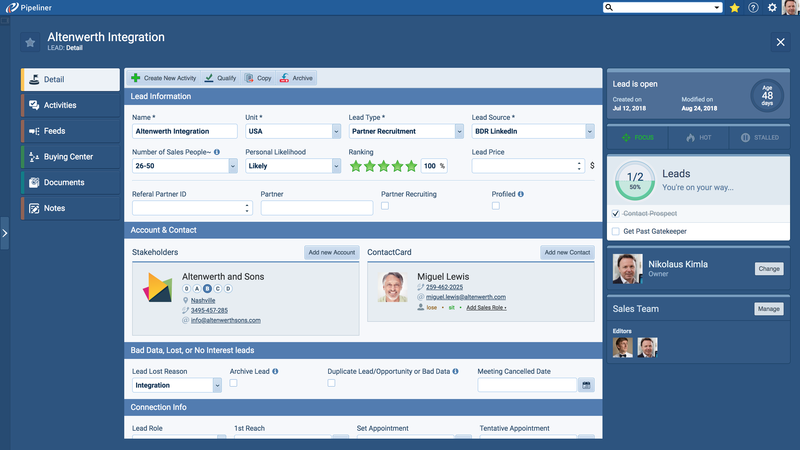 The lead-become-opportunity will then show up in every Pipeliner reporting and opportunity tracking function. It will remain plainly visible to the rep until it is a won or lost deal. Any lead or opportunity that is archived will keep all its relevant data intact. If at any time the lead or opportunity comes back to life, it can be reactivated with a single click. 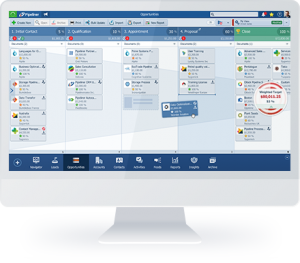 We have made Pipeliner CRM extremely flexible so it can be tailored to a company’s exact processes. 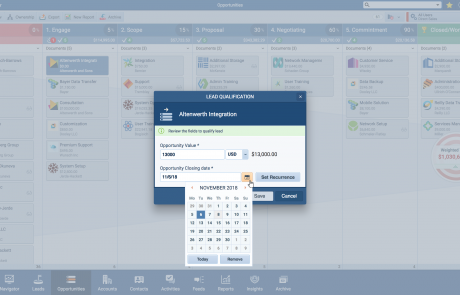 Sales stages can be easily customized, and then changed if needed. 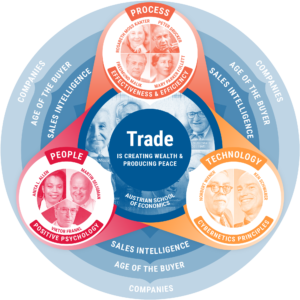 You can even make the various tasks and activities within lead and opportunity management required—that is, the lead or opportunity cannot be moved until certain steps are achieved. 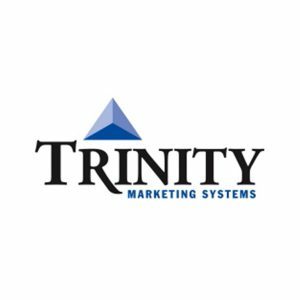 Companies that excel at lead management generate 50% more sales-ready leads at a 33% lower cost. 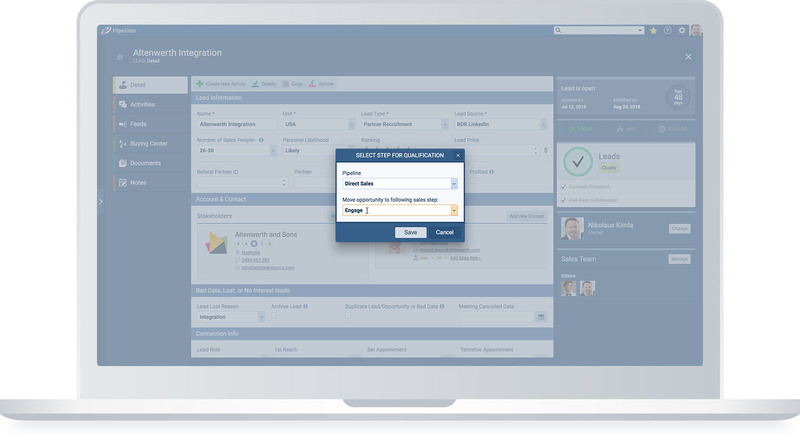 You can see your leads in a column/row format, customizable for your particular needs.